Walking shoes have some features that other shoes don't. 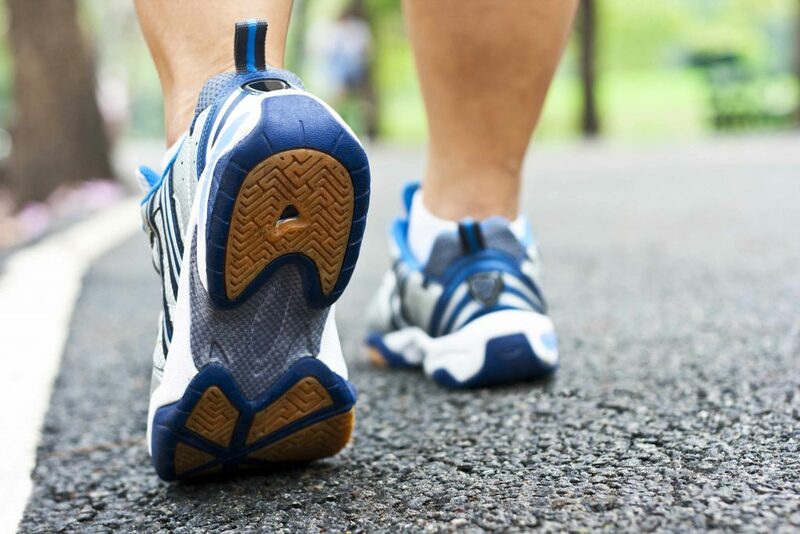 Finding shoes that are comfortable, supportive and won't give you blisters can motivate you to walk more. Here's what to look for and how to get the best fit. Meningitis is an inflammation of the membranes surrounding your brain and spinal cord. You should seek immediate medical care if you suspect that someone has meningitis. Learn more about the types and causes of meningitis and the symptoms that signal the need for medical attention. Climbing stairs is an example of a practical, everyday physical activity that provides health benefits. It can also burn off calories — about 65 calories in 15 minutes. Here's how you can include taking the stairs and other everyday activities in your fitness program. During hip replacement, a surgeon removes the damaged sections of your hip joint and replaces them with parts usually constructed of metal, ceramic and hard plastic. This artificial joint reduces pain and improves function. Learn more about why hip replacement is done, as well as the risks and what you can expect. A silent heart attack is a heart attack that has few, if any, symptoms. Some people later recall their silent heart attack was mistaken for indigestion, nausea, muscle pain or a bad case of the flu. Learn about the risks for silent heart attack and how your doctor can determine if you've had one in the past.